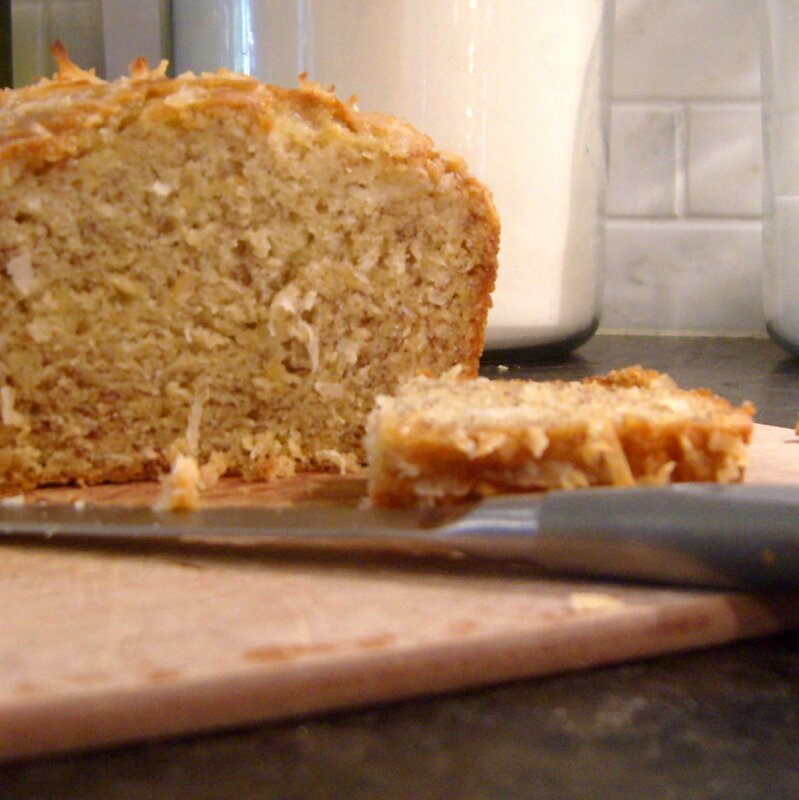 This banana bread recipe is so good, I haven’t made any other kind since I first tried it. It’s so good, my mother-in-law asked me for the recipe. I’ve been meaning to try it without the coconut and lime glaze, too, but we like this combination so much I haven’t gotten around to it yet. I’m pretty sure you could substitute pecans or walnuts (or yes, chocolate chips), and just use a plain glaze (milk and powdered sugar)–or no glaze at all. I think this recipe has 1/4 of the butter that my old recipe has, and half the sugar. Healthier, but incredibly moist and tender. I guess the secret is the yogurt and more bananas. Make sure they’re really ripe and mushy–I like to keep dying bananas in the freezer, skin and all. Just thaw them on the counter for a short time, cut off the ends, and squeeze the bananas right into your measuring cup. You hardly need to mash them.